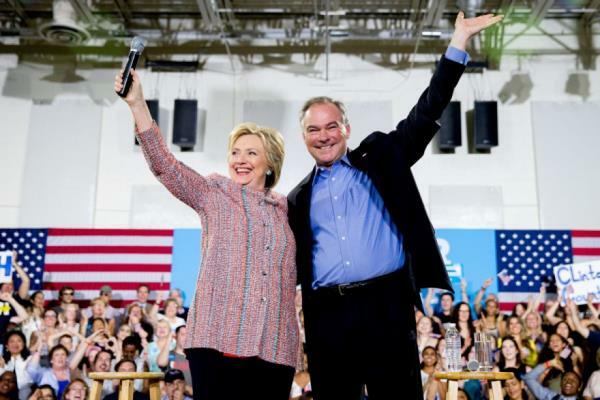 Senator Tim Kaine of Virginia has been selected as Hillary Clinton’s Vice-Presidential running mate. The choice of Kaine has immigration advocates and the Hispanic community at large exceedingly energized and hopeful. The reasons for the enthusiastic support of Kaine are essentially fourfold: 1) Kaine has a proven track record of supporting immigration reform and a pathway to citizenship; 2) Kaine is fluent in Spanish and prides himself on speaking directly to and with Hispanics; 3) Kaine has strongly supported the Latino population of Virginia; and 4) Kaine spent a year as a missionary in Honduras and reportedly feels a strong and personal connection to Central Americans. While some would have preferred a Hispanic running mate, many are saying that Kaine is next best thing. Although many candidates may say that they are pro-immigration, Tim Kaine’s past positions on immigration reveal that he has always made efforts to reach out and support the immigrant community, has consistently supported immigration reform measures, and has spoken out against punitive, anti-immigrant legislation. As governor, Kaine formed a Latino commission, made up of Latino leaders such as Walter Tejada, a former Arlington County Commissioner, to advise him on issues that matter to the Latino community. In 2010, while serving as Chairman of the Democratic National Committee, he vocalized his strong objection to Arizona’s notorious, anti-immigrant measure SB 1070. He also supported the DREAM Act and as a Senator voted yes on S. 744, the last immigration reform bill to pass the senate. He also famously gave a floor speech in front of Congress on the need for immigration reform in fluent Spanish. Furthermore, he has made multiple public statements in support of DACA (Deferred Action for Childhood Arrivals) and of President Obama’s Executive Action initiatives, including expanded DACA and DAPA (Deferred Action for Parental Accountability (DAPA). By selecting Senator Kaine as her running mate, it is clear that Hillary Clinton understands the import of immigration reform and of supporting the Hispanic community. At the Shulman Law Group, LLC, we are certainly hopeful that a Clinton-Kaine White House would be committed to ensuring that Immigration Reform legislation and deferred actions be a top priority. We encourage individuals to schedule a consultation appointment with our immigration law firm to discuss their particular immigration issues so that when the new President takes office, they will be ready to move ahead with any actions that would help them to either prevent deportation and/or adjust their status in the United States.